16 When evening came, they brought to him many possessed with demons. 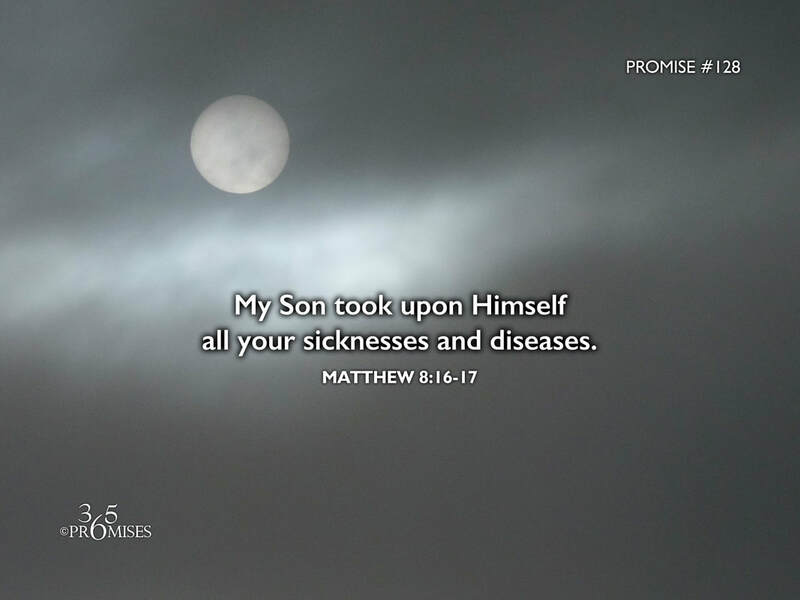 Jesus took upon Himself every sickness and every disease that mankind has ever experienced so that we could be healed. I cannot imagine the unfathomable price that Jesus paid for today's promise to become a reality for us in our generation. In the Garden of Gethsemane as Jesus was sweating great drops of blood, He cried out to His Abba (Father) for the strength to drink from the cup that would pave the way to our redemption. It was at this crucial time in history that Jesus took upon Himself ALL our sin and exchanged ALL our brokeness for ALL of His life. I believe that only the Holy Spirit can bring revelation to us so that we can grasp in part the incredible sacrifice that Jesus paid so that we could become heirs of His glorious inheritance. May God give all of us the grace today to comprehend the fact that Jesus took upon Himself all of our sickness so that we could be healed. May faith rise in our hearts today so that each one of us could appropriate the finished work of the cross in every area of our body and our soul that still needs to be healed. Thank you Jesus for saying 'yes' to your Father and drinking the terrible cup of the brokenness of humanity so that we might be made whole...spirit, soul & body. Hallelujah, what a Savior!